The Panzer III was Germany’s main battle tank for the first couple of years of WWII, with earlier Panzer IV variants serving primarily as close-support weapons. However, after Pz.Kpfw.III tanks began encountering more heavily armored T-34 and KV-1 tanks during the invasion of Russia, existing Panzer III models were found to be inadequate for the task. One solution was to up-gun the tank with a longer and more powerful 5cm KwK 38 L/42 cannon, and to add more armor to the vehicle. Thus the Panzer III Ausf.J was born. 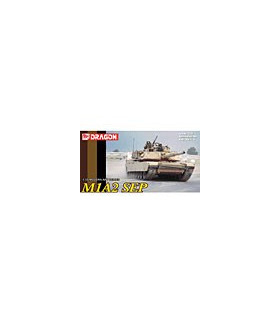 It featured 50mm-thick solid armor plates on the front and rear of the hull, an increase from the previous 30mm-thick armor plates. Among other modifications, the new armor resulted in a ball-mount MG being fitted on the front superstructure and a redesigned driver’s visor. 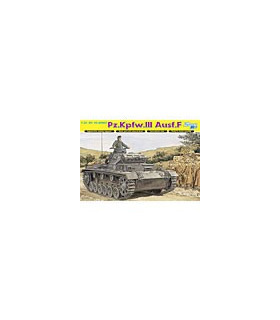 Dragon has launched a new 1/35 Smart Kit of an Initial Production Pz.Kpfw. III Ausf.J. 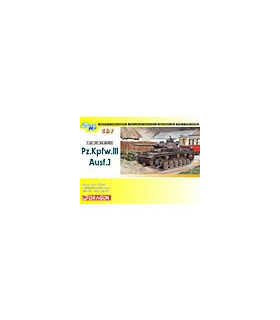 A total of 482 such tanks were produced beginning in March 1941, before an even longer 5cm KwK 39 L/60 gun was available for introduction on later Ausf.J models in December 1941 through to mid-1942 (this vehicle is finely represented by Dragon’s previously released Item No. 6394). This new kit correctly depicts an Ausf.J as it appeared in its initial configuration, and so the kit has received a completely new tooling for the engine deck. The engine deck has the hatches accurately arranged, plus the option of having the tow cable pre-molded in place, or absent altogether. 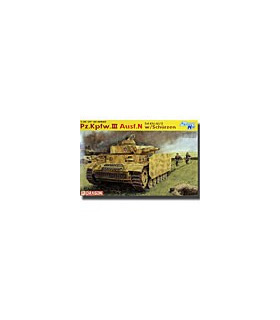 This fine 1/35 scale kit naturally utilizes parts from Dragon’s previous Panzer III J, and so numerous fantastic features are carried over where appropriate. Where needed, totally new parts have been added for this Initial Production variant. As a Smart Kit, this new item is a pleasure to build thanks to clever parts engineering by the designer. 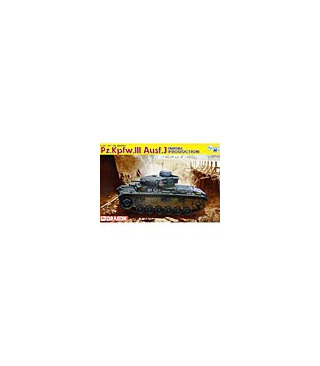 The kit is also highly accurate, allowing modelers to create this specific variant of the Panzer III Ausf.J that is ready to take on tougher armored foes on the battlefield!